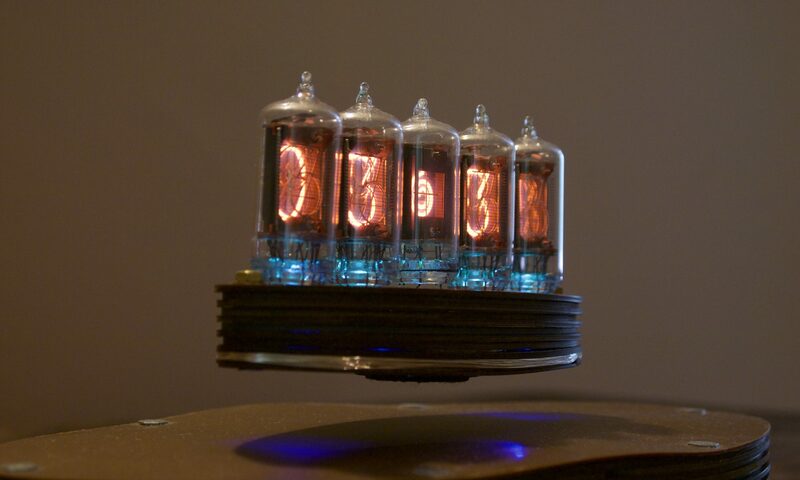 The Gazotron IN-18 is the largest Soviet nixie tube, with a digit height of 40mm. The digits appear to be somewhat stretched, but this does not detract from the appearance of the tube, which has a very clear display. Luckily for us, this tube is still available in large quantities because it was produced in a planned economy until the early 1980s. It is not particularly cheap, because of its size, but it still a lot cheaper than the next largest tubes, the Z568M or the NL7037, if you can even get those NOS. 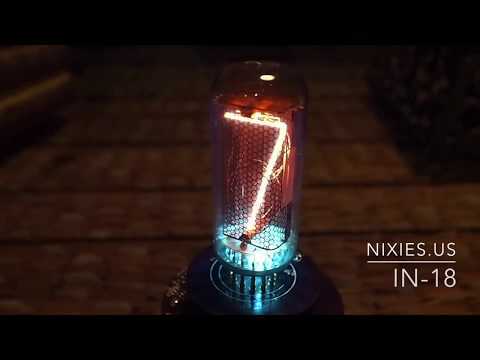 Below, you can see images of the tube both lit and unlit, followed by a video and a datasheet.